Wedding Chicks Member: B Wedding Invitations Serving: Ships Anywhere See more: Portfolio Get Social: Facebook | Twitter | Pinterest | Instagram A few words from B Wedding Invitations:Beautifully inspired from nature straight to your heart! 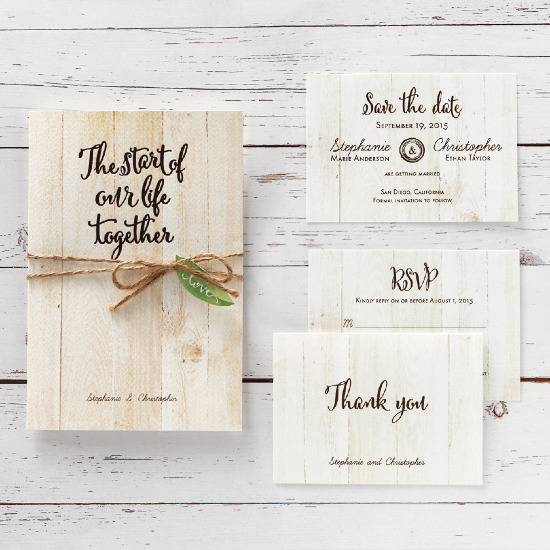 Our Letter from the Heart invitation is a woody design printed on textured paper that makes it almost true to life. The invitation is tied with a twine, like an old fashioned letter, and a leaf tag adds so much charm to the invitation. With our variety of style, colors and designs that are trendy and fashionable, let B Wedding Invitations help make your Wedding Day unique and memorable.